The election of Dmitry Medvedev for a second term is the most reasonable scenario for Russia, according to the director of the Strategy-2020 foundation Mikhail Remizov. ­Strategy-2020 is a 12-year plan for the modernization of Russia, proposed in 2008 by then president Vladimir Putin, which outlines the development of Russia’s economic and political course, most notably for the next decade. The political analyst assumes that a certain part of it tends for the revision of the current situation but the major part is oriented at the “inertial model, which has more chances for implementation”. “What we are observing is that the ruling group is gradually consolidating around the president,” Remizov commented. And he thinks that the trend, the development of the “inertia model”, is likely to strengthen. “Of course, alternatives, force majeure situations are possible. But the opposite scenario [Putin running for presidency] would be just that, a political force majeure,” the expert believes. For now, there is still uncertainty about who will eventually become a presidential candidate, with both Dmitry Medvedev and Vladimir Putin not ruling out the possibility. This creates some difficulties for the bureaucratic machine. If this uncertainty continues, “some of its parts will be paralyzed and deprived of the freedom of maneuver,” Remizov added. It is not that the tandem members prefer to keep the intrigue going until the last moment. 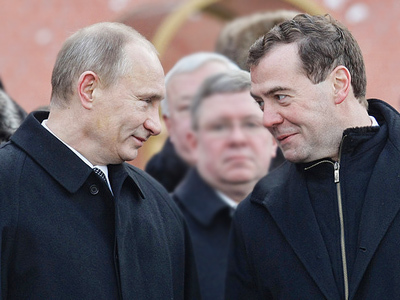 According to the political analyst observations, Medvedev seems to have already taken the decision while Putin is still hesitating. Earlier this week, both the president and the prime minister spoke about the forthcoming election. 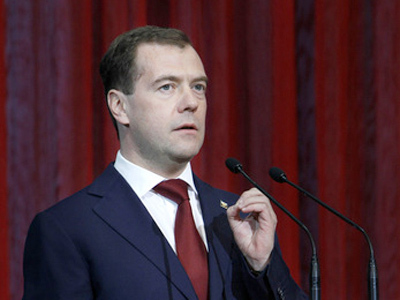 On April 12, president Medvedev said in an interview to Chinese television his running for presidency is possible and he will announce “in the short term”. On the same day, a similar statement came from Vladimir Putin. But its tone and accents differed, note political observers. “Of course, one day, the decision should be made. But there is almost a year before the election. All this fuss around it does not contribute to efficient work. If we now give wrong signals, part of the administration stops doing anything, awaiting changes,” Putin told journalists. On Thursday, deputy head of the presidium of the majority United Russia party, announced that Vladimir Putin is their priority candidate for the 2012 election. “Naturally, we would like to see Vladimir Putin at the head of the United Russia list in December this year [during the parliamentary election]. 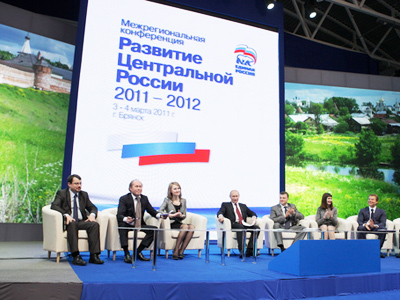 And it is his candidature that we consider first and foremost as a presidential nominee from our party,” Shuvalov said. At the same time, deputy head of the Fair Russia faction in the State Duma, Gennady Gudkov, said that no matter who will run for presidency, neither Dmitry Medvedev, nor Vladimir Putin have presented a clear view of Russia’s further development. “The main question each citizen should ask themselves is not who will come to power in 2012 but what programs Dmitry Medvedev and Vladimir Putin will put forward,” Gudkov told journalists. 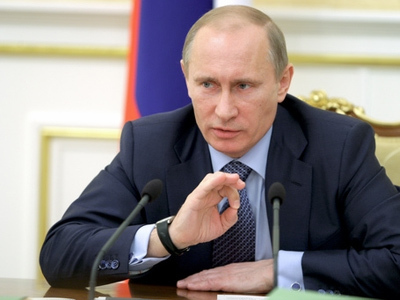 He stressed that today Russia needs reform “as never before”. “It is unlikely he will be willing to launch the systemic changes which Russia needs,” the deputy believes.